Deirdre Glenn, Manager of the Lifesciences Sector at Enterprise Ireland, discusses key trends emerging from this year’s Med in Ireland event. Pierre Chauvineau, Vice President at Boston Scientific, described Ireland as “a small country with a strong economy, where collaboration and values matter”. As a number of the event’s other speakers noted, the latest research shows that Ireland’s medical technologies sector is in full health. Enjoying exponential growth from 50 to 350 companies, Ireland has emerged as one of the world’s top five medical technology hubs over the last 20 years. 13 of the top 15 global medtech companies have bases in Ireland, showing that the country has become internationally recognised as a preferred location for the development and manufacture of high-tech medical products. The sector now counts over 350 medical technology companies, of which 152 are indigenous and generate over €600 million in sales and €400 million in exports, employing more than 6,500 people. The figures for exporters based in Ireland look just as strong. With significant growth year on year since 2012, Ireland is the second largest exporter of high-tech medical products in the EU. The objective of Med in Ireland is to support further growth by enabling companies based in Ireland to build partnerships with buyers from 42 countries that attend. A number of announcements illustrated the potential of these initiatives. Meditec Medical announced that it successfully tendered for a contract with the international Boston Children’s Hospital to manufacture and supply Mediflex pressure relief mattresses to its entire hospital. 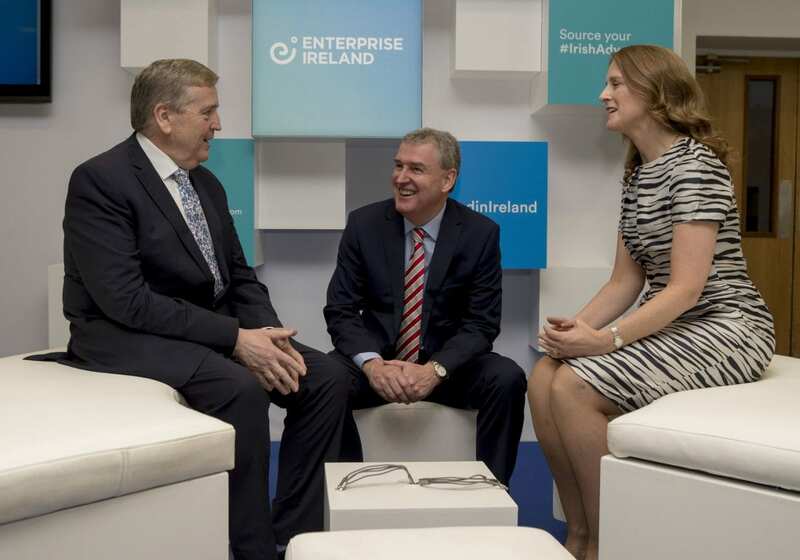 Irish technology company Kastus announced the launch of an antimicrobial solution which can be used on devices, door handles and sanitary fittings in hospitals and pharmaceutical manufacture to prevent the spread of micro-organisms such as MRSA and E. Coli. Seabrook Technology Group, the Irish-owned manufacturing software specialist, announced a partnership with Toolroom Technology to provide an end-to-end offering for orthopaedic manufacturers. Innovation is a key theme of Enterprise Ireland’s Irish Advantage campaign, which supports diversification and export growth by encouraging global buyers to ‘source their Medtech advantage’ and buy Irish. As Kevin Sherry, Enterprise Ireland’s Executive Director of Global Business Development, commented at Med in Ireland, “Our exports and employment are built on Ireland’s world-class innovation system.” This year’s event included its first dedicated Medtech Innovation Showcase to highlight these strengths. Ireland’s medtech advantage is supported by investments in Research, Development and Innovation. 60% of medtech companies in Ireland are engaged in R&D and in 2015 companies spent over €205m on such activities. Enterprise Ireland has introduced a range of innovation supports to further foster the development of medical technologies, help clients to win more research funding through the EU’s €80 billion Horizon 2020 fund, and encourage knowledge and intellectual property-sharing. Technology Gateways leverage industry-focused expertise in Institutions of Technologies across the regions. Health Innovation Hub Ireland partners clinicians, academics, and entrepreneurs that work together to accelerate commercialisation. BioInnovate Ireland is a technology training programme in which academia, clinicians and industry collaborate to develop novel medical technologies. Shortly before Med in Ireland, the launch of another such initiative was announced; the BioExcel Medtech Accelerator Programme at NUI Galway, to support our pipeline of innovative start-ups. The announcements at Med in Ireland demonstrated the commercial potential of these initiatives. Ireland’s innovation advantage is driving global market penetration for Irish exporters and supporting partnerships with reputable institutions, including Northwell Healthcare and the Cleveland Clinic. Med in Ireland showcased companies that are taking full advantage of these opportunities, building partnerships that secure business wins on a global scale. Medtech companies in Ireland are not only growing sales in traditional export markets but diversifying into new, higher growth markets. Notwithstanding Ireland’s competitiveness in medtech, these companies continue to face uncertainty generated by Brexit. To support them to succeed, we must continually innovate and showcase Irish innovation across the world.